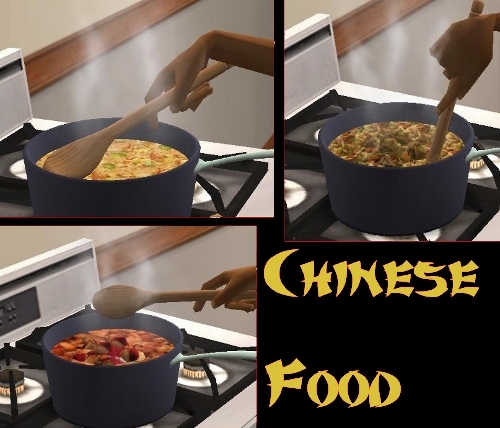 Included are 3 Chinese dishes available for all three meals. Fried Rice, Kung Pao Chicken, and Moo Shoo Pork. 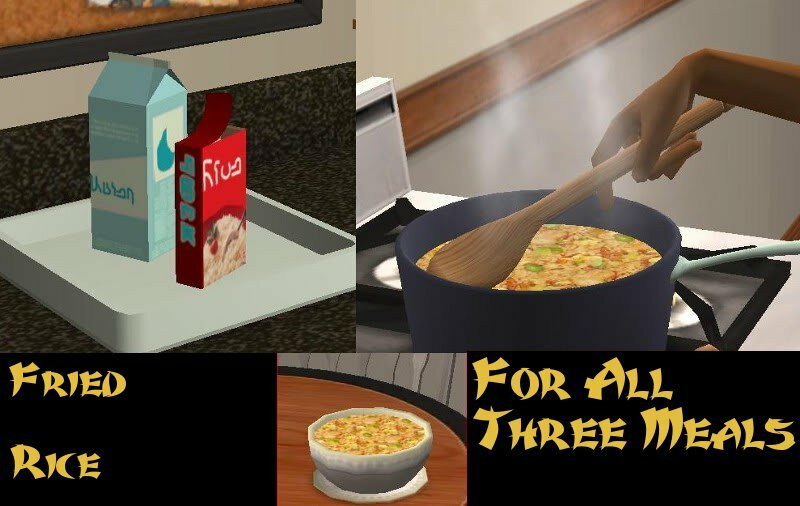 The fried rice is a recolor of mac n cheese, kung pao chicken and moo shoo pork are recolors of spaghetti (with removed pasta box from ingredients mesh). 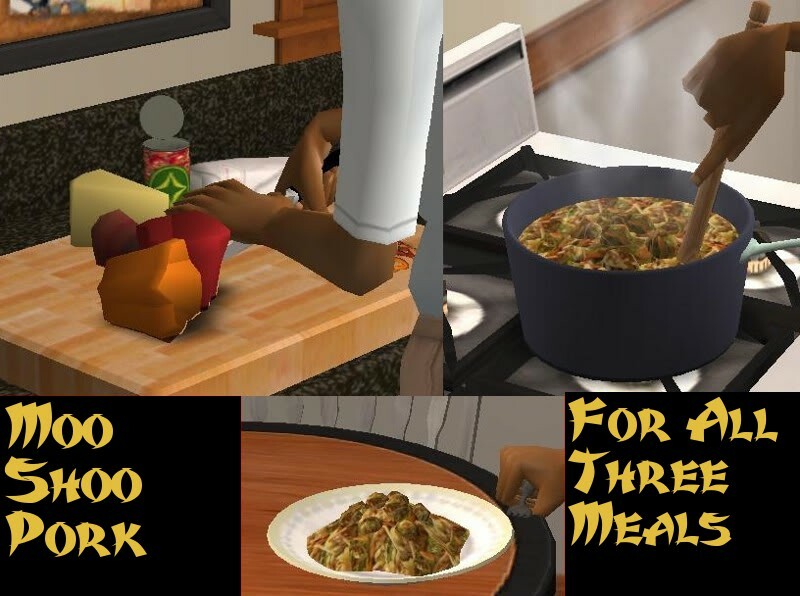 If you have any requests for TS2 food, I am happy to take them just private message me here, and I'll try my best to make it for you. Enjoy! 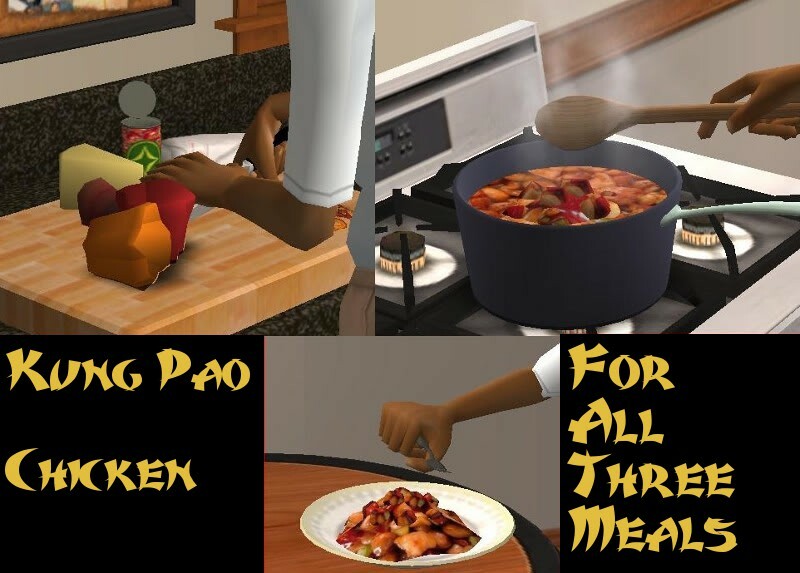 Hmmm, too bad I ain't a sim, because those look finger-lickin' good. Thanks, Jon.